Carolyn Long Engelhard is a national expert in health policy and holds the academic rank of associate professor in both the School of Medicine and in the Frank Batten School of Public Policy and Leadership. 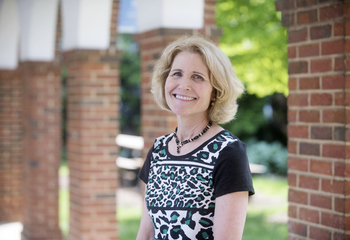 Professor Engelhard’s academic activities include analyzing and monitoring changes in health policy at the federal and state governmental levels and teaching in both the Graduate School of Arts and Sciences and the School of Medicine. Ms. Engelhard co-authored a book looking at the myths surrounding the U.S. health care system, completed a national project in conjunction with the nonpartisan Urban Institute examining the use of public policies to reduce obesity, and contributed a textbook chapter examining the effect of the new law on health care organizations. More recently, Professor Engelhard co-directed a national webinar featuring health policy experts and students across four universities, and was a contributing health policy expert for the web-based news journal, TheHill.com. Her current activities include producing short educational health policy “snapshots” for the national news service MedPage Today. Health policy analysis including: private and public health coverage; expenditures in the organization and financing of medical services; quality issues in health care; patient safety and medical errors; and changes in health workforce. Ms. Engelhard’s academic activities include studying and monitoring changes in health policy at the federal and state governmental levels and teaching in both the Graduate School of Arts and Sciences and the School of Medicine. Over the last decade, Ms. Engelhard co-authored a book looking at the myths surrounding the U.S. health care system. In 2009, completed a project in conjunction with the nonpartisan Urban Institute examining the use of public policies to reduce obesity, co-authored an article in the New England Journal of Medicine examining health insurance premium rating regulation under the ACA, and completed a book chapter examining the future health workforce needs in the U.S.
Video presentation: “Chipping Away at ObamaCare,” MedPage Today/Everyday Health, May 2018. “ObamaCare to TrumpCare: Promises, Perils, Politics, and Policy,” webinar, Sloan Program in Health Administration, Cornell University, April 24, 2018. Video presentation: “U.S. Health Care: Too Expensive or Priceless?” MedPage Today/Everyday Health, April 2018. Video presentation: “What Could be the Impact of Medicaid Work Requirements?” MedPage Today/Everyday Health, March 2018. Parsons, A. and C. Engelhard (2017).Unnecessary Medicine, U.S. News and World Reports, November 17, 2017. Engelhard, C.L.(2010). The End of the Beginning: health Care Reform and the National Agenda. University of Virginia Journal of Medicine, October. Engelhard, C.L., A. Garson, and S. Dorn (2010). Reducing Obesity: Policy Strategies from the Tobacco Wars abstracted version. Methodist DeBakey Cardiovascular Journal, Vol. 5(4):46-50. Garson, A and C. Engelhard (2007). “Health Care Half-Truths: Too Many Myths, Not Enough Reality.” Rowman & Littlefield Publishers.